BlackBerry was about to launch its second Android smartphone with much delight. But the launch was spoiled by early leak. Before the official launch, the smartphone features became known. 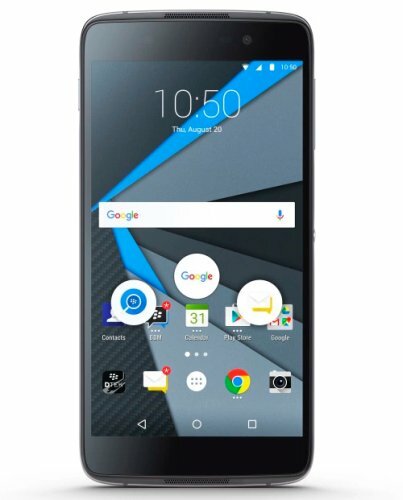 Anyway BlackBerry DTEK50 is available for pre-order. Unlike its previous attempt, BlackBerry tries a bit economical this time by launching a smartphone that starts at $299. Let us have a look on the features of DTEK50 and find out what BlackBerry has hidden in it for you. DTEK50 measures to be 147*72.5*7.4mm with a weight of 135 grams. The handset seems to be lightweight and supports 3G as well as 4G. BlackBerry launched DTEK50 with a display that extends upto 5.2 inches. The IPS enabled LCD touchscreen supports 16M colours. The resolution comes to be 1080*1920 pixels along with 424 PPI. This display is protected by scratch resistant glass with Oleophobic coating. This will help you to view the display even in bright sunlight. DTEK50 from BlackBerry is functional with the help of Qualcomm MSM8952 Snapdragon 617 chipset. This chipset is consisted of Quad Core Cortex A53 with a processing speed of 1.5GHz and Quad Core Cortex A53 with a processing speed of 1.2GHz. This processor is backed by Adreno 405GPU for the purpose of support for graphics. Users can interact with the smartphone with the help of Android OS of v6.0 Marshmallow. DTEK50 has an internal storage of 16GB with a memory of 3GB. This storage can be extended upto 256GB with the help of microSD memory card. The primary snapper of DTEK50 is loaded with a lens of 13MP. It is again enhanced with an Aperture of f/2.0 along with features like Phase Detection, Autofocus and Dual Tone LED Flash. Other features include Geo-tagging, HDR, Face Detection, Touch Focus and Panorama. This camera can record video with clarity of 1080 pixels@30fps. The front cam is having a lens of 8MP which will help you to have lovely selfies with your loved ones. DTEK50 supports WiFi with 802.11a/b/g/n/ac. It also supports Bluetooth with v4.2 and GPS with A-GPS, GLONASS and BDS. DTEK50 is also enabled with NFC and microUSB of v2.0. BlackBerry also designed DTEK50 to have sensors like Accelerometer, Proximity, Compass and Gyro. DTEK50 is powered by Li-Ion battery which cannot be removed. This battery is having a capacity of 2610 mAh, which is capable of providing a talk-time of 17 hours on 3G. With the support of Quick Charge 2.0, DTEK50 can be charged to full within an hour. BlackBerry launched DTEK50 in its signature Black colour. The handset is available at a price of $299. Initially DTEK50 will be available United States, Canada and certain countries of Europe. Very soon DTEK50 is expected to be available in other parts of the world.